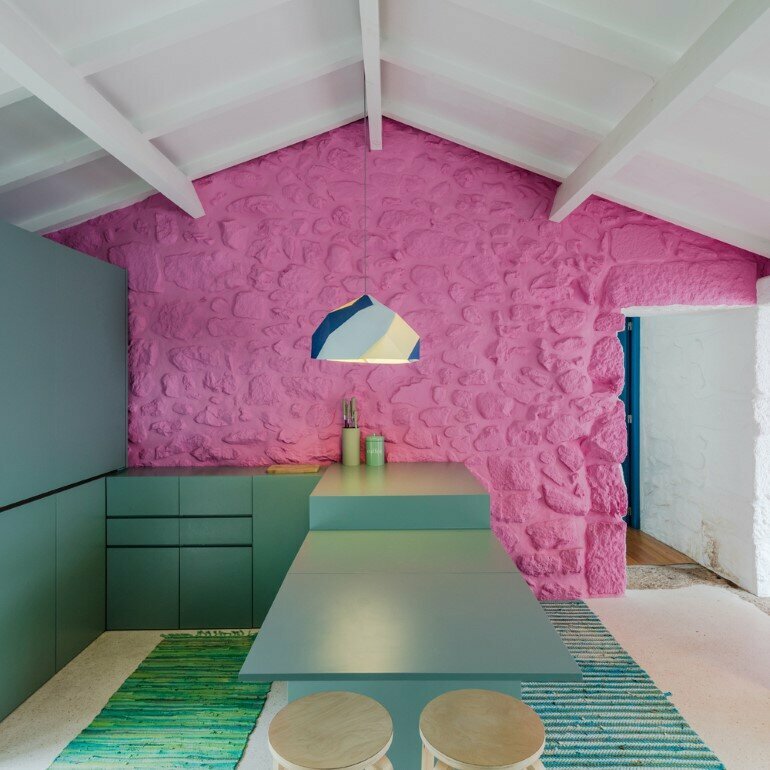 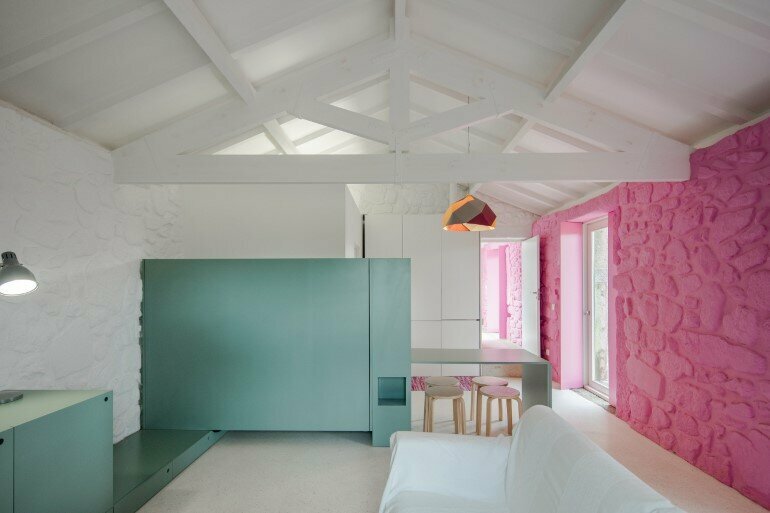 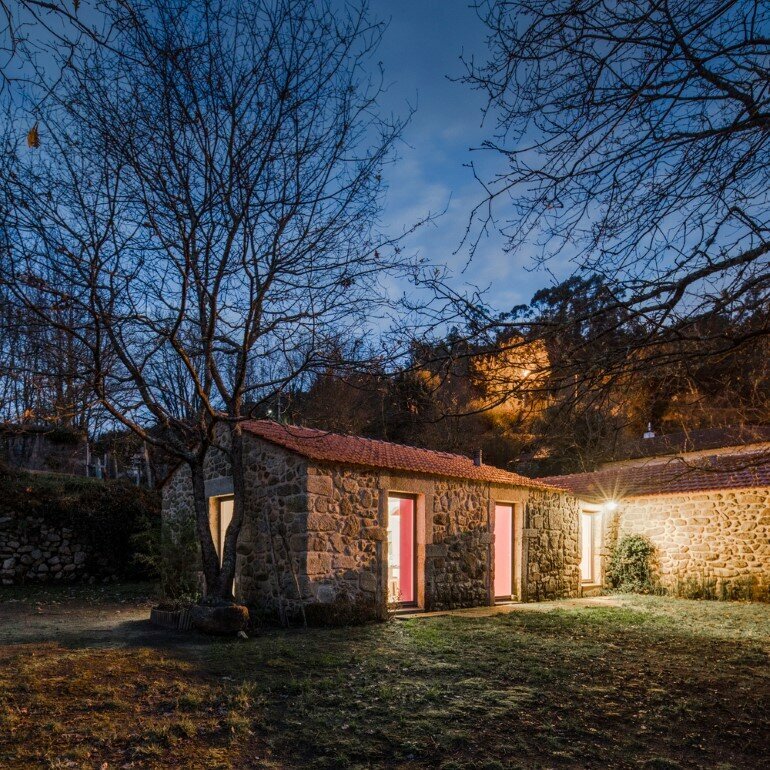 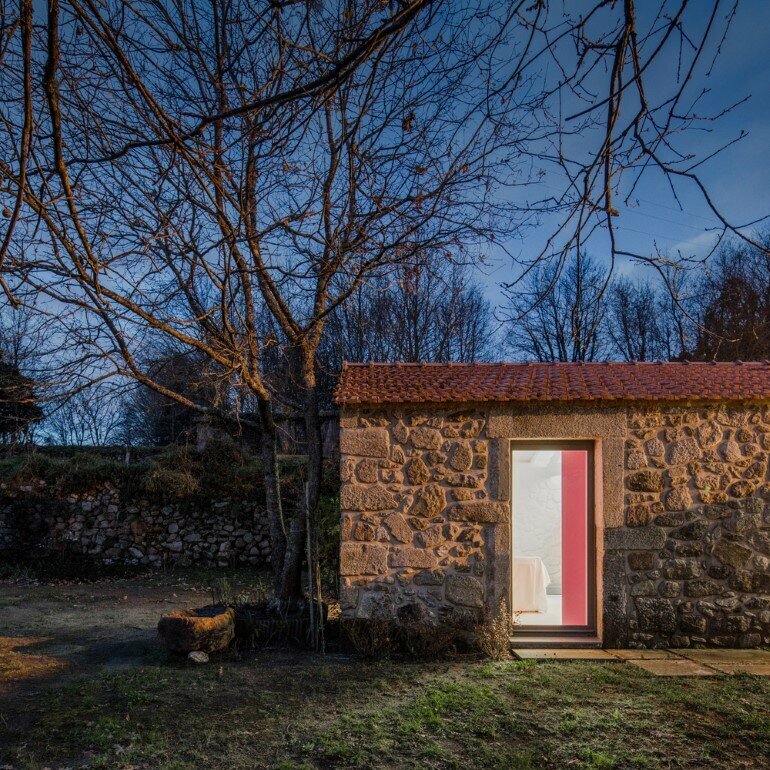 Portuguese studio Escritório the Arquitetos has renovated and enlarged this farmer house in order to be destined for rural tourism. 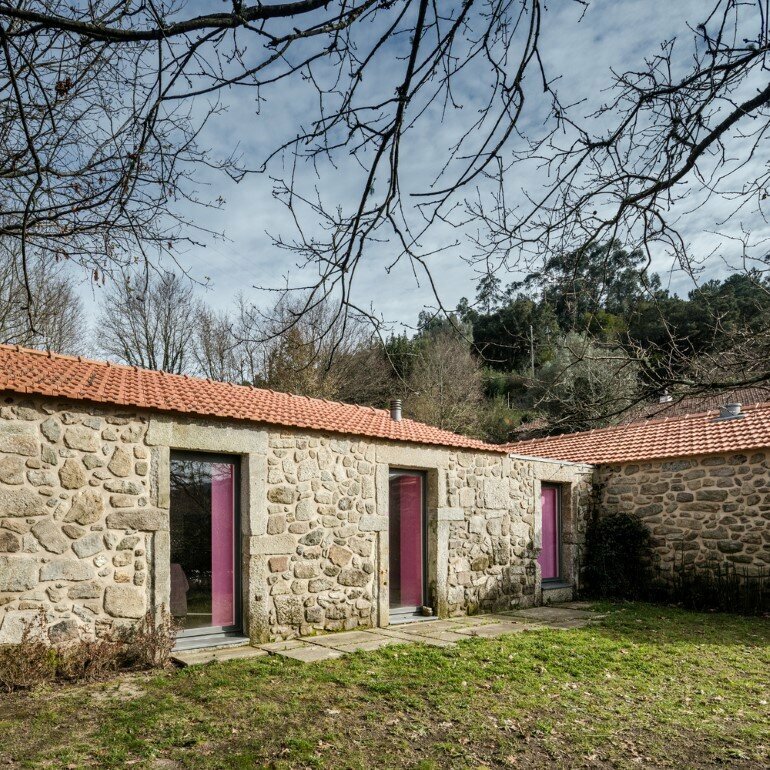 Description by architect: Within the Paredes de Coura region, this construction dates from the year 1699 with secondary works in 1703. 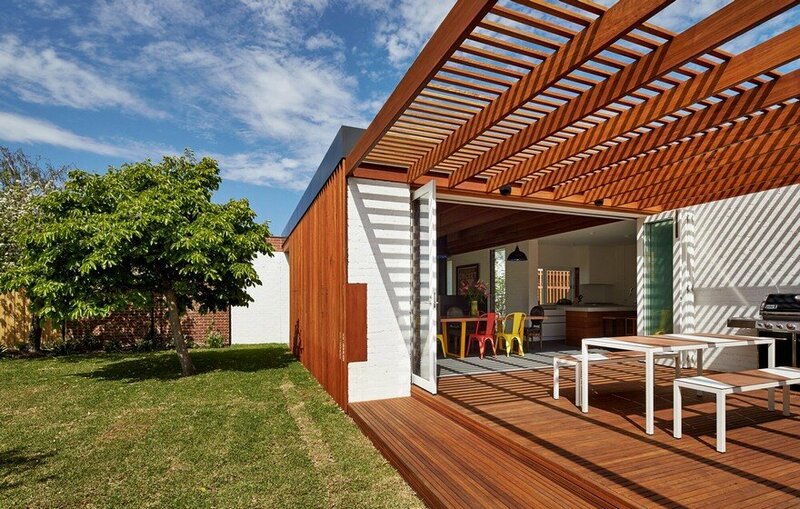 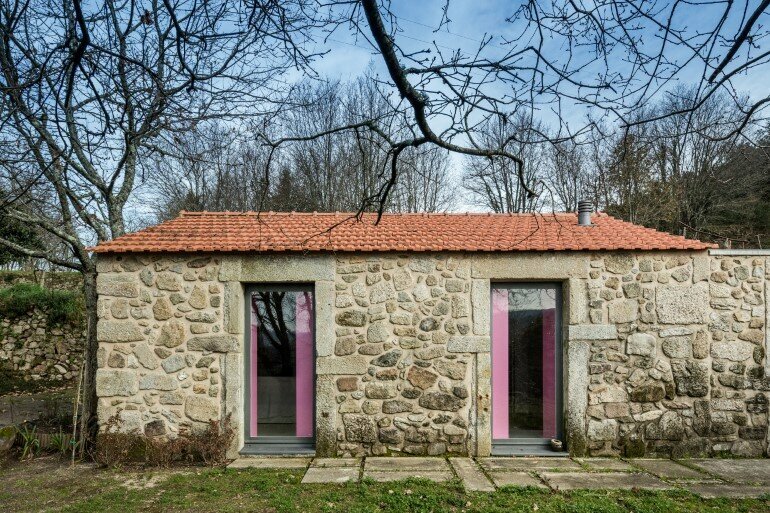 It’s integrated in a farm and was a farmer house. 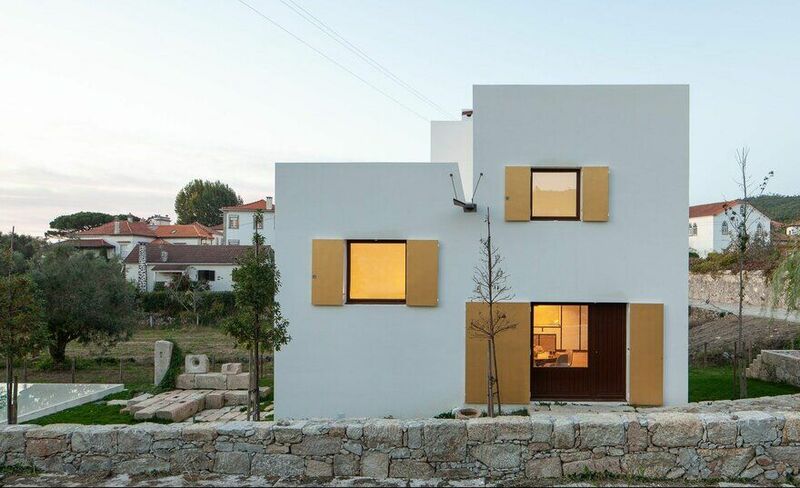 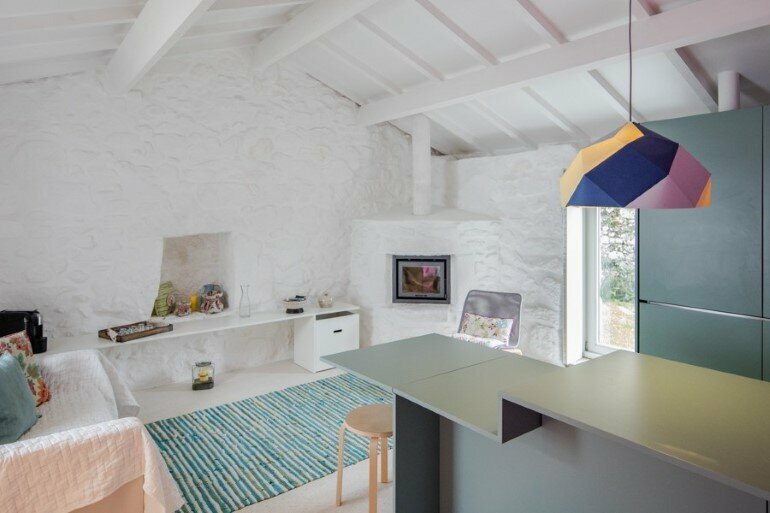 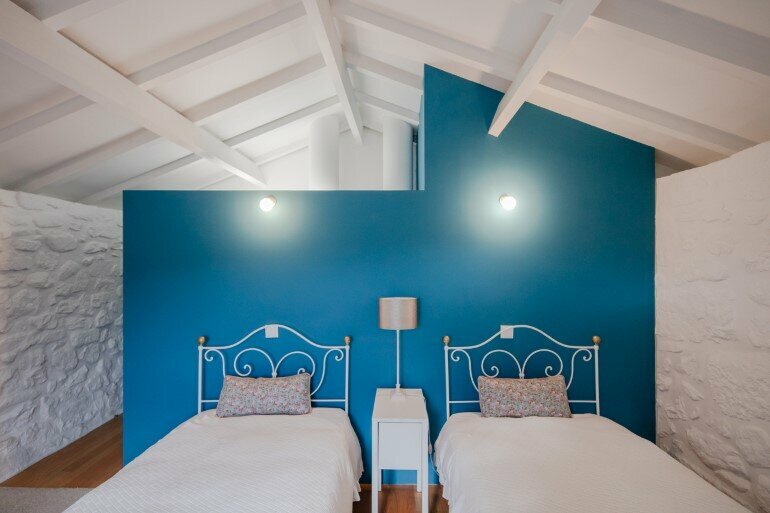 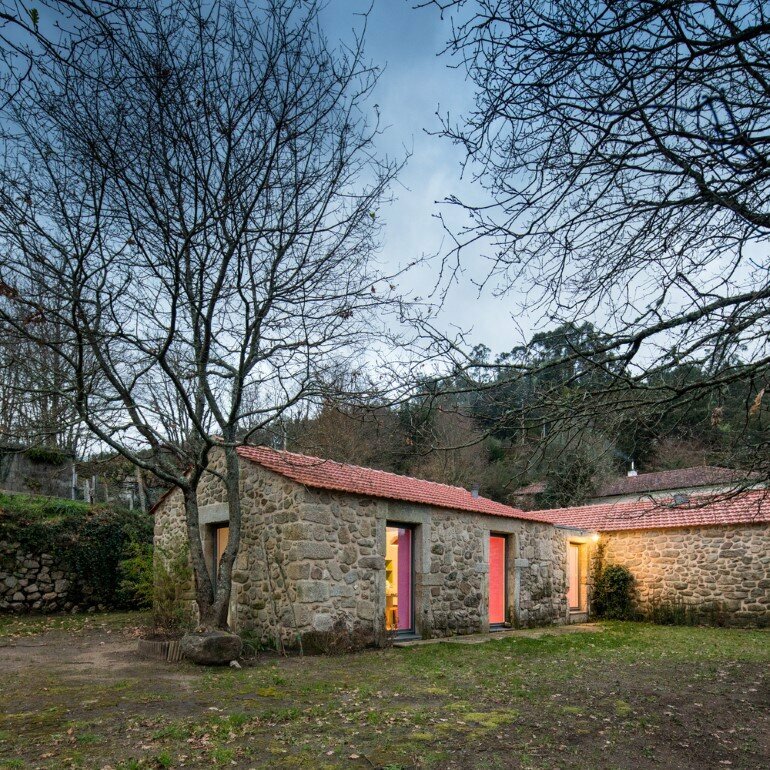 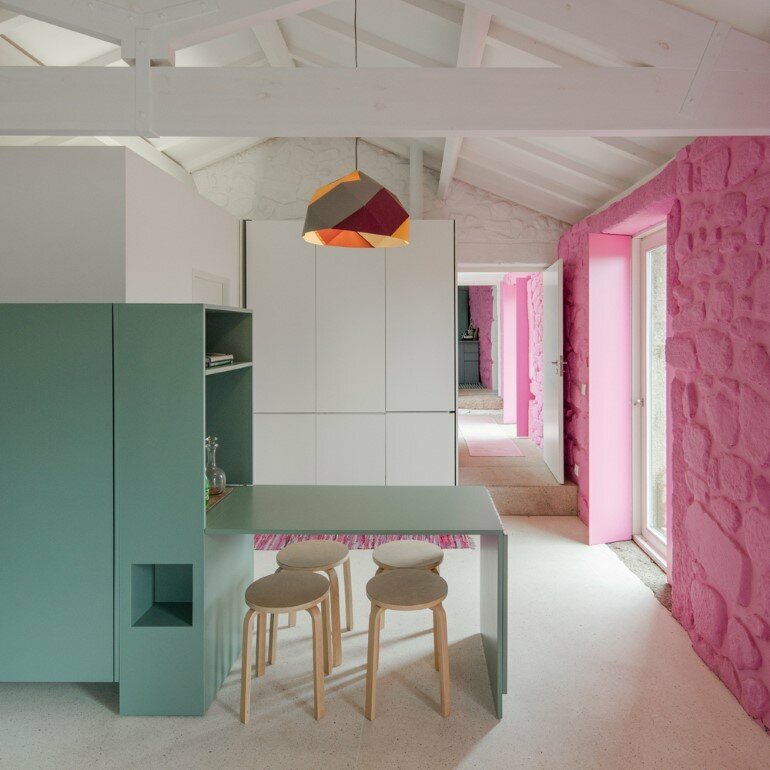 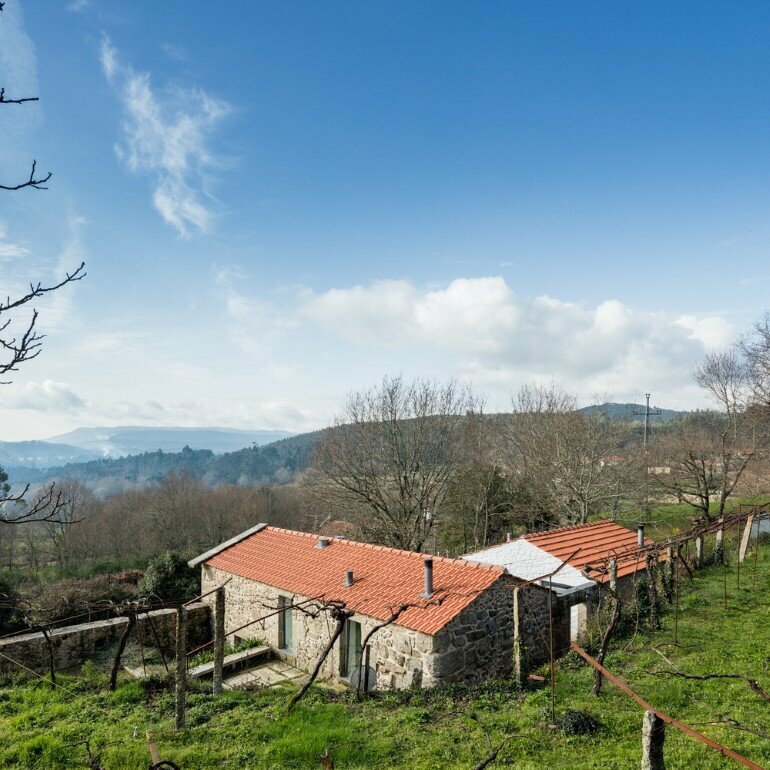 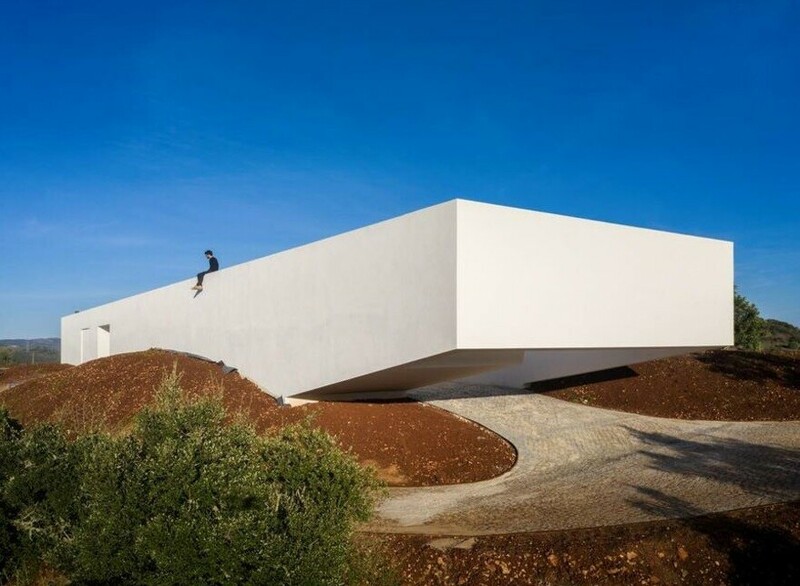 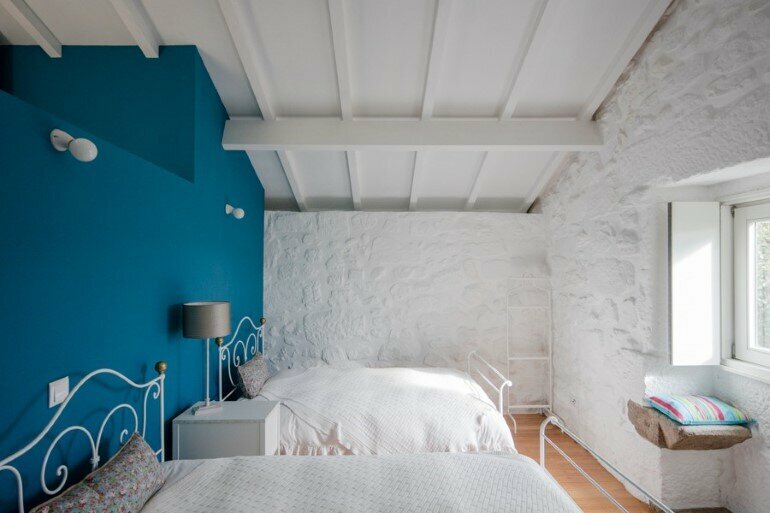 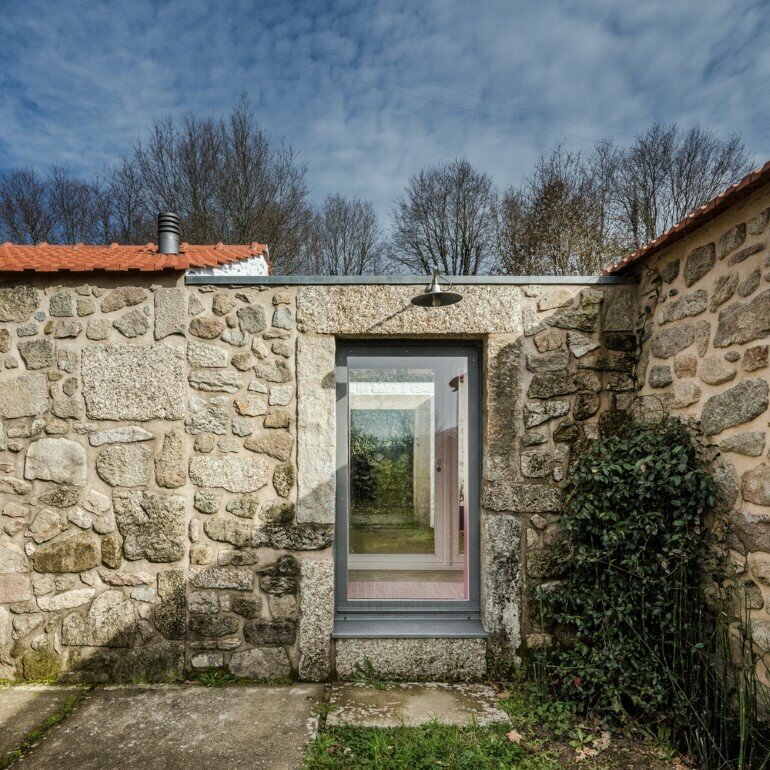 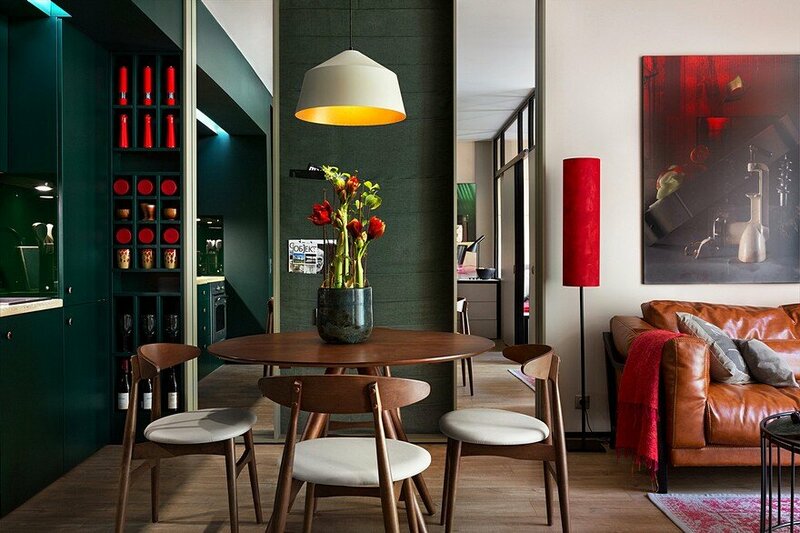 It follows the traditional architectural traits found throughout the rural landscape in the north of Portugal. 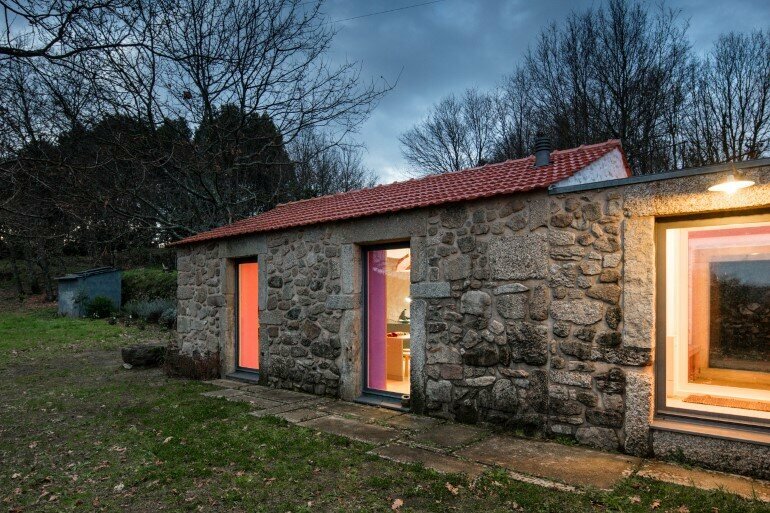 In order to serve its new purpose for rural tourism the building was enlarged in order to work as an independent house with two bedrooms and a studio room. 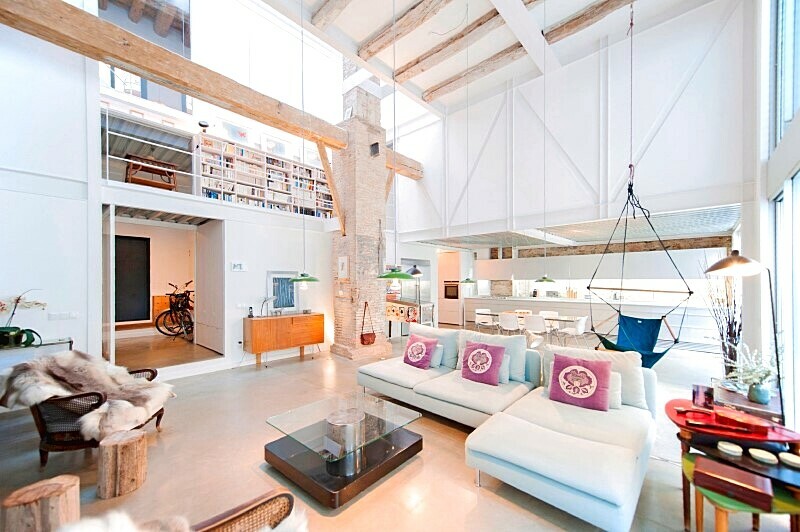 The addition of a wall was necessary. 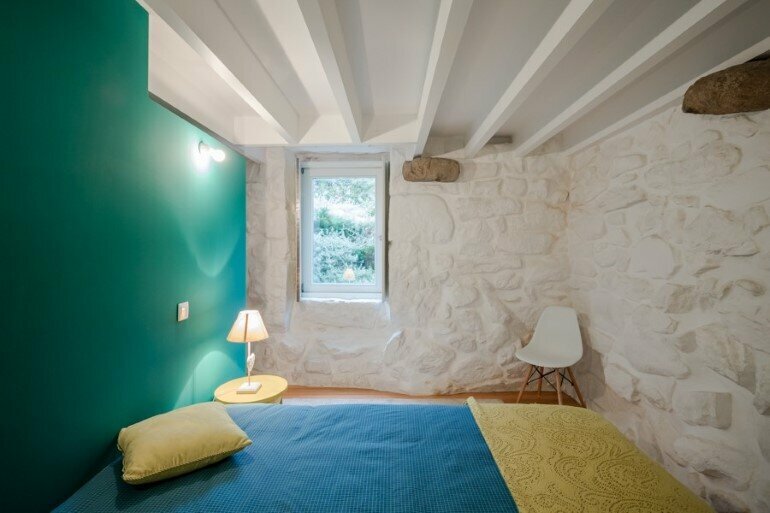 To keep the original character of the construction this new wall was built with similar width and stone. 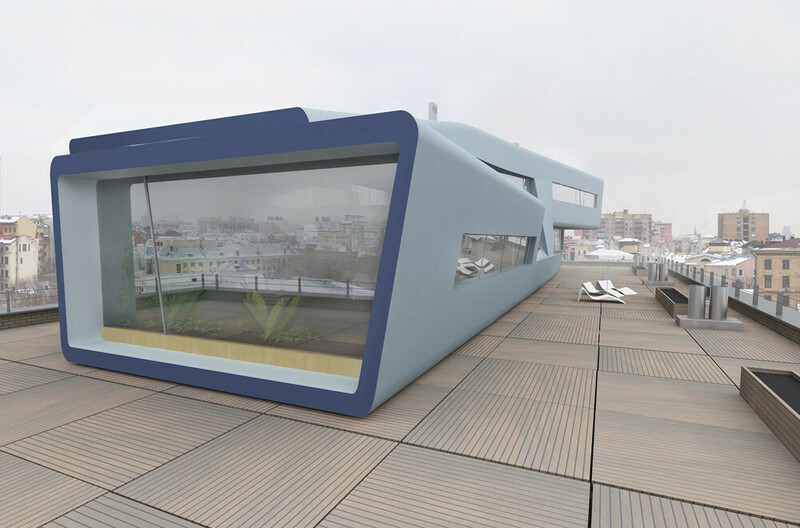 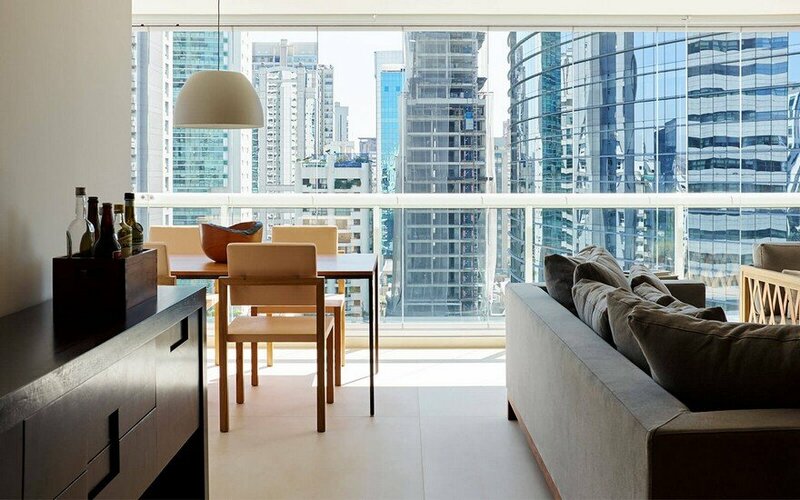 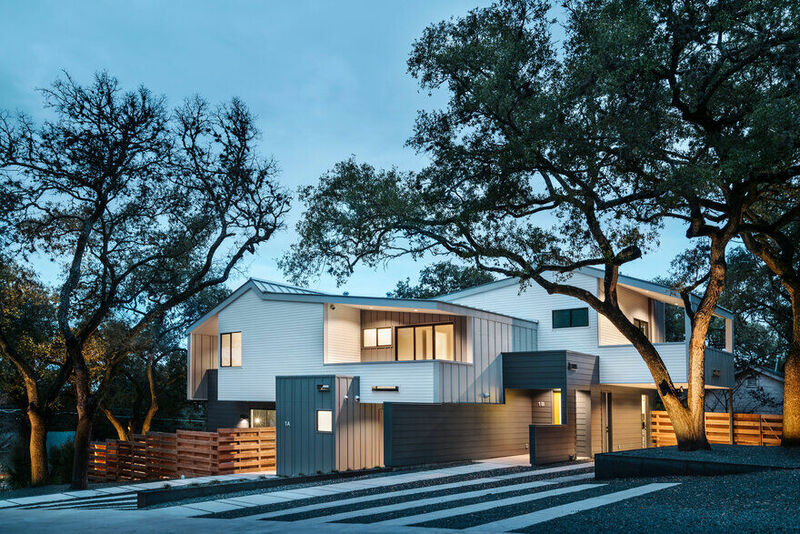 Facing south, the “L” shaped house allows the best use of its solar orientation with the creation of individual outdoor spaces that have separate access from each house. 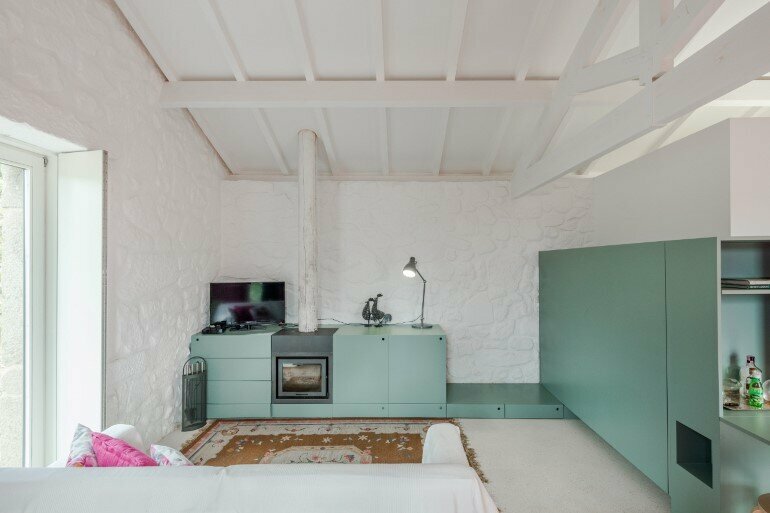 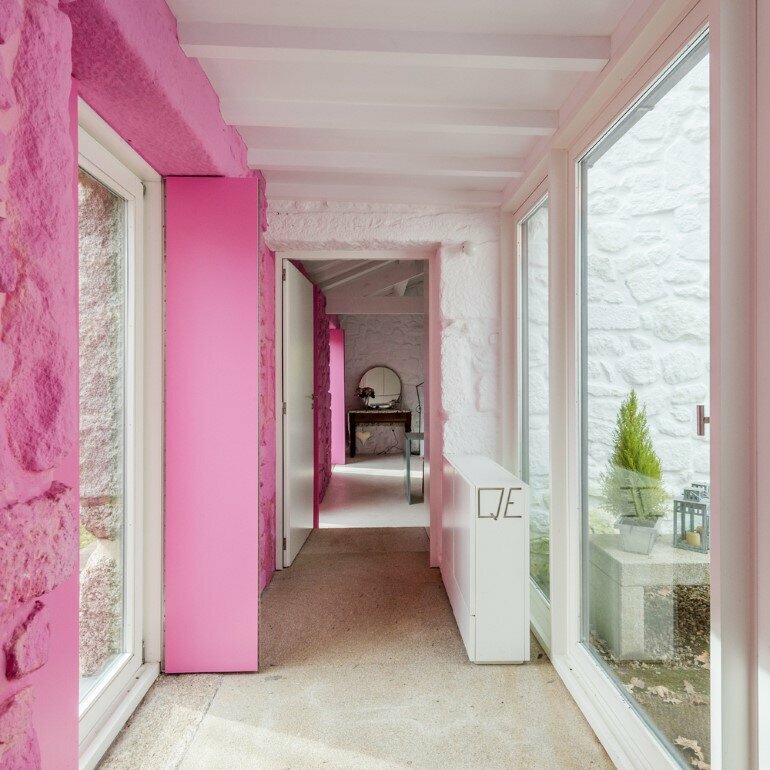 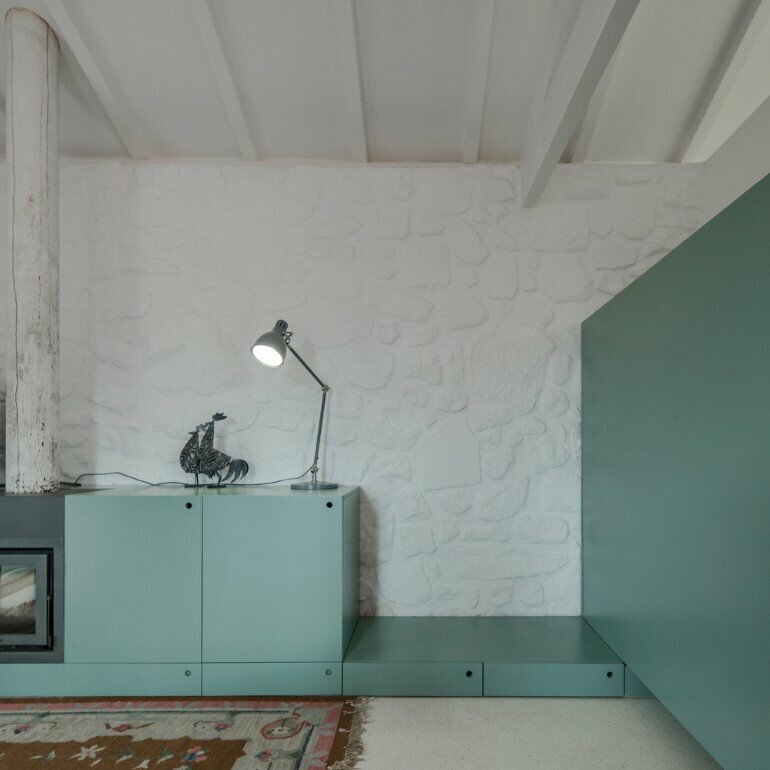 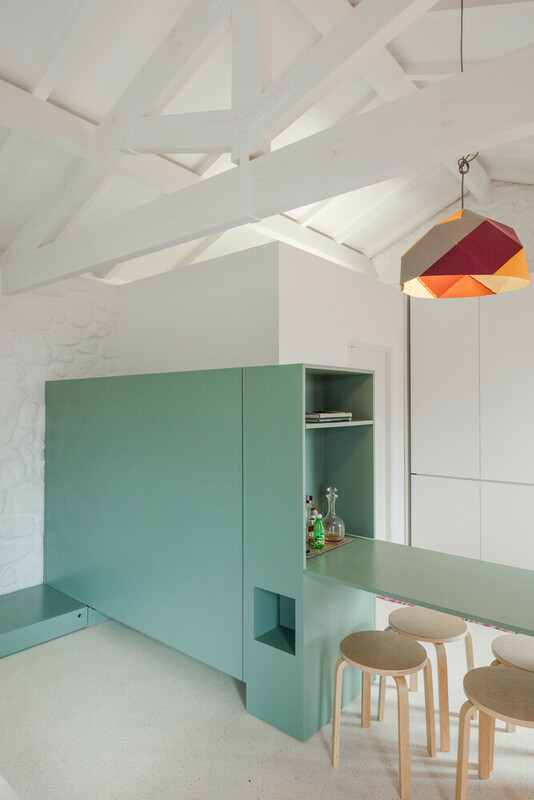 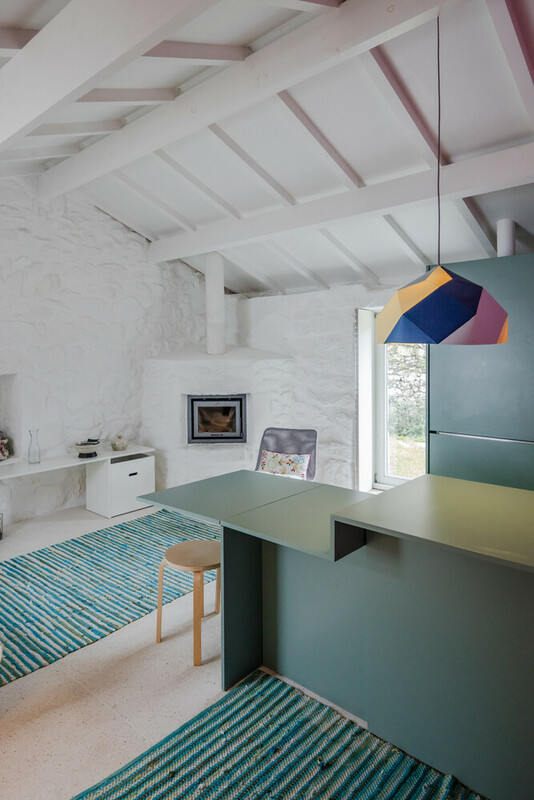 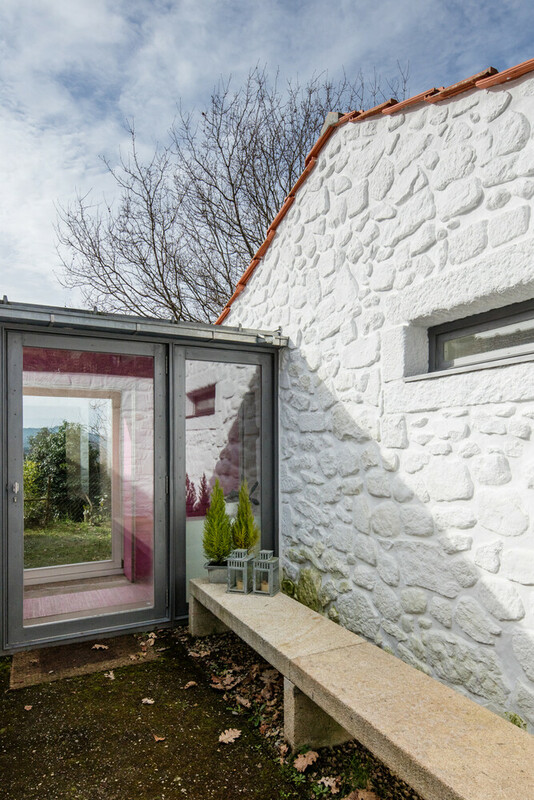 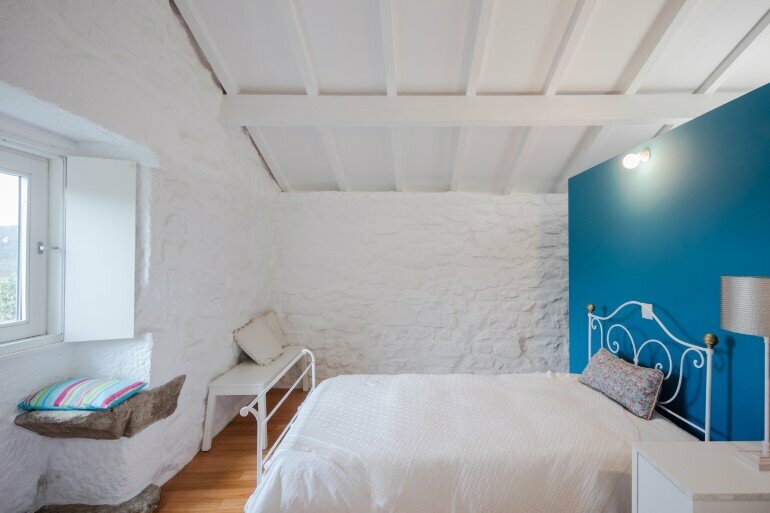 The reworked farmer house now functions as an independent building destined for modern rural tourism.